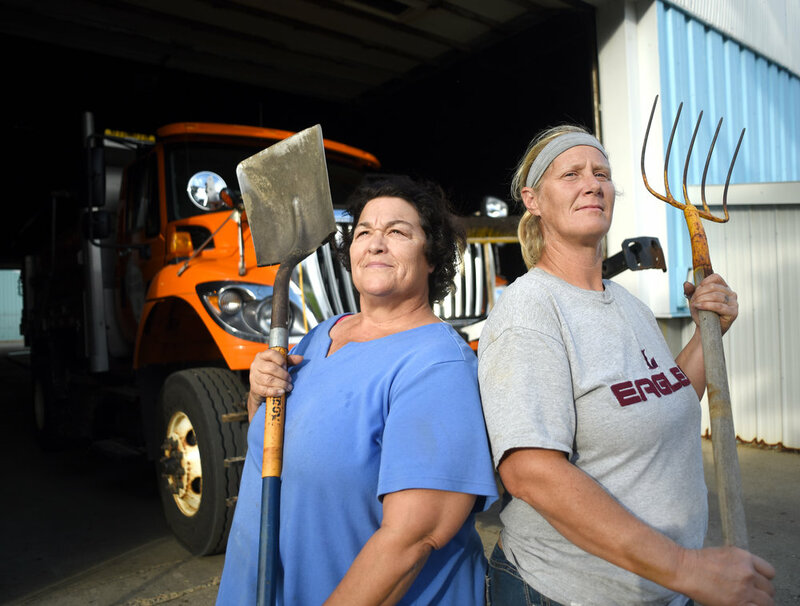 Cheri Foulker, 58, and Marsha Wilde, 45, are currently the only women permanent laborers for the Green County Highway Department. Foulker has been working for the high department for 25 years and Wilde has been there for about three months as of Oct. 4, 2016. 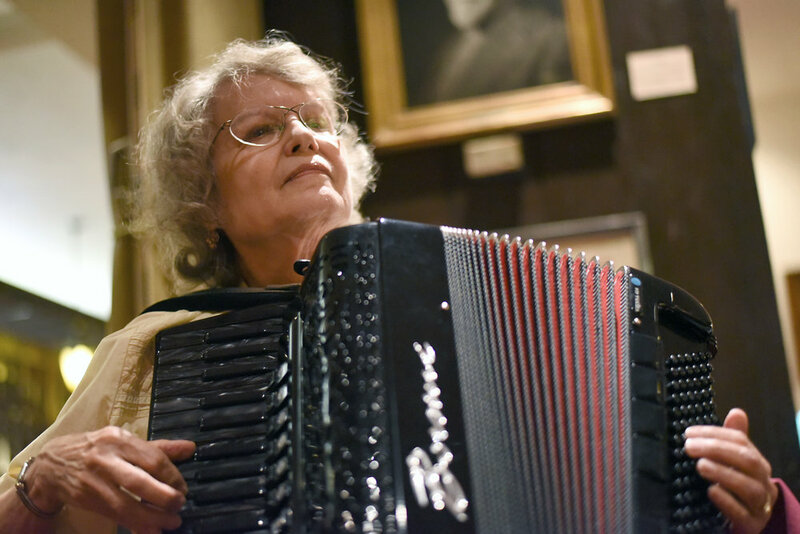 Bobbie Edler plays the accordion during squeezebox night at the Ratskeller Restaurant on August 18, 2015. 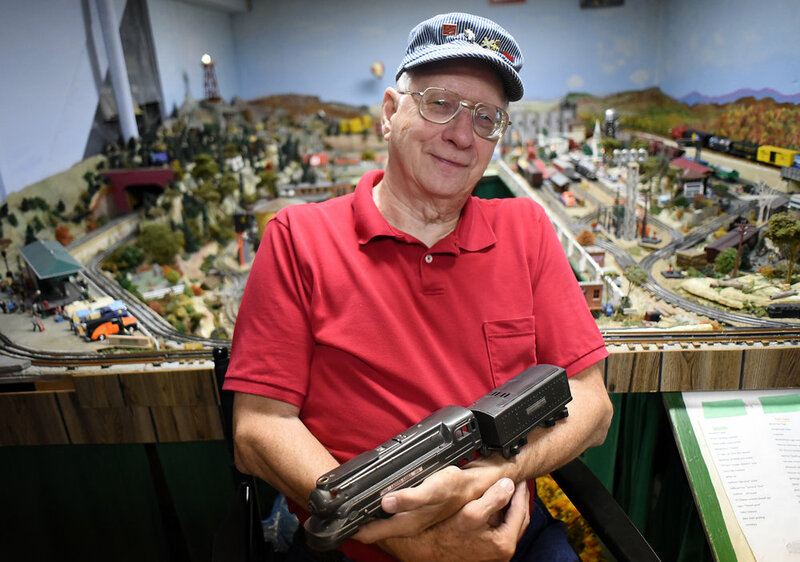 Paul Schoenike holds a Lionel train, given to him by his family doctor in 1940, next to his model train setup in the basement of his home in Monroe Sept. 24, 2015. Calli Vestin adjusts the bowtie on Jack Tran, 8, who plays the ghost of Hamlet's dad in a modern day adaptation of Hamlet, during a rehearsal at the Monroe Arts Center on Feb. 4, 2016. This is Tran's first play outside of school that he has been a part of. "It's a lot of work," Tran said, "But it's a lot of fun." Richard Hilger, of Monroe prepare to direct his play "And Miss Reardon Drinks A Little" at the Monroe Theatre Guild on Feb. 19, 2016. 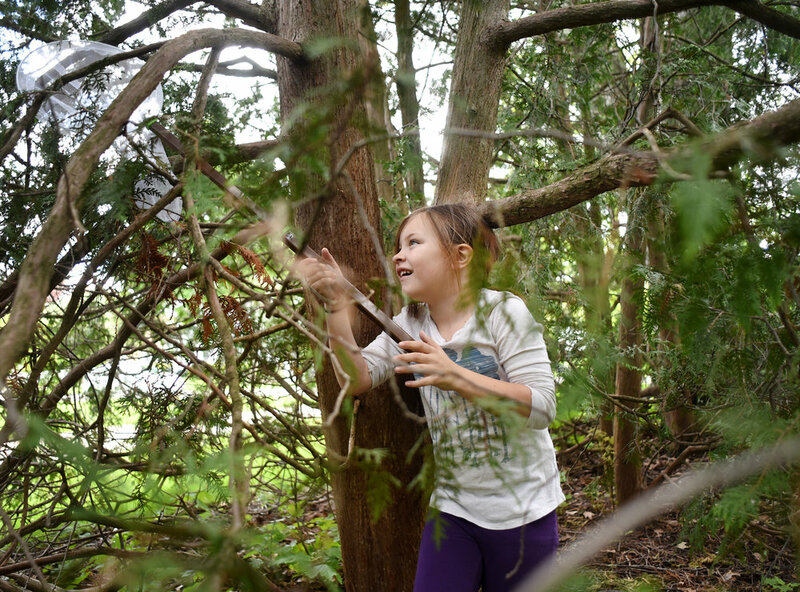 Alyssa Wells, 7, plays in her neighbor's pine tree with a butterfly net May 12, 2016. 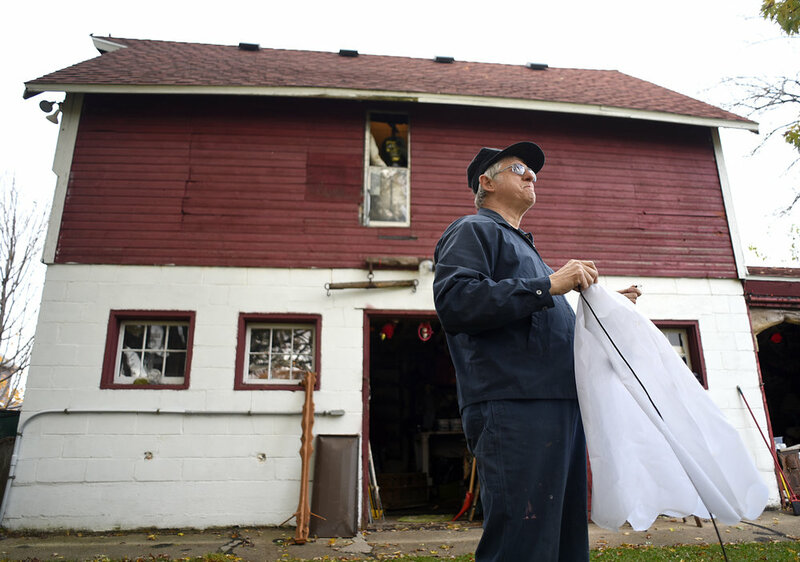 Ernie Gebhardt, of Monroe, prepares to host a Halloween party at his home Oct. 30, 2015. Gebhardt and his late wife, Beverly, have hosted a Halloween party for the neighborhood kids since 1977. This was Gebhardt's first Halloween without his wife after she died of cancer in the spring. 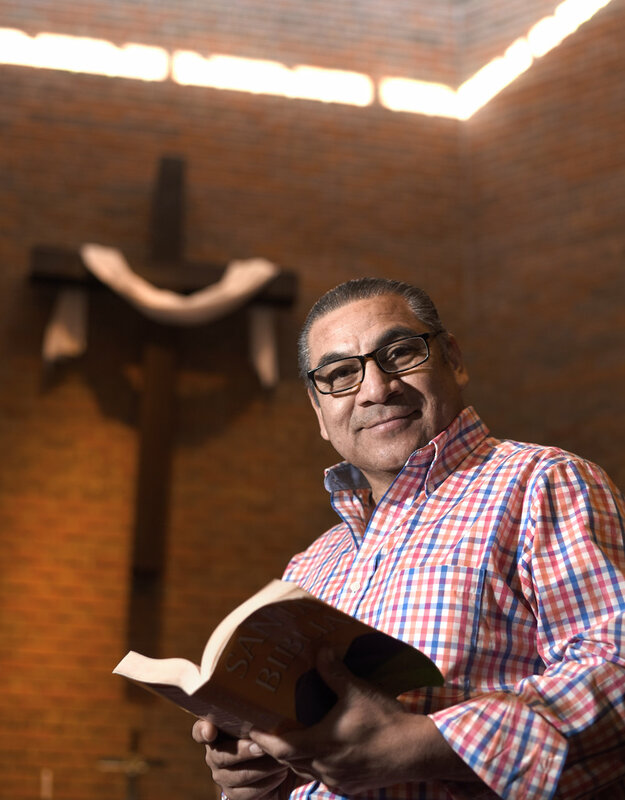 Pastor Juan Mayorga, of Delavan, leads church services for the Hispanic Ministry at the Monroe United Methodist. Pastor Mayorga has been a part of the Hispanic Ministry in Monroe since July 2017. Alexus Schultz, 10, rides her go-kart in front of her house after school May 9, 2017. Schultz has had her go-kart for about a year, after getting it last year for her birthday. Schultz had always wanted a go-kart and tries to rides it almost every day. 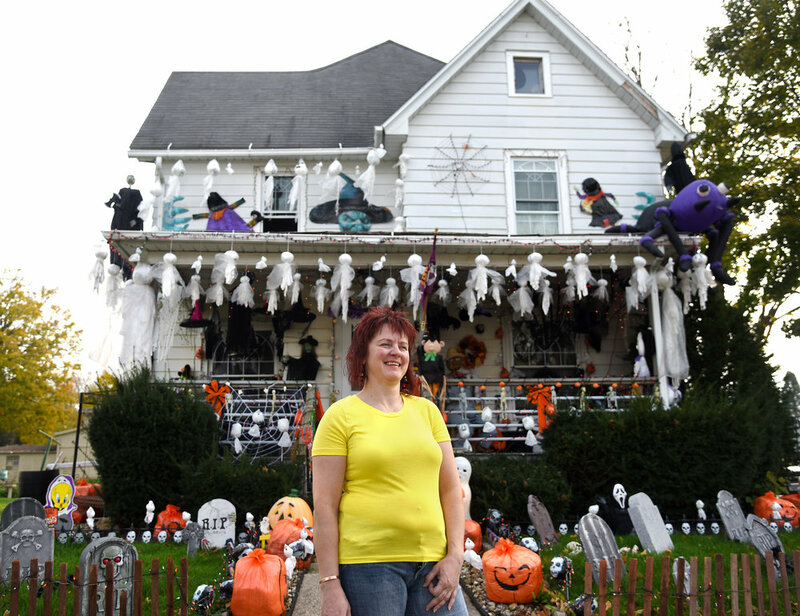 Christy Montgomery stands in front of her elaborately decorated house for Halloween in Monroe Oct. 28, 2016. Montgomery adds more decorations every year. 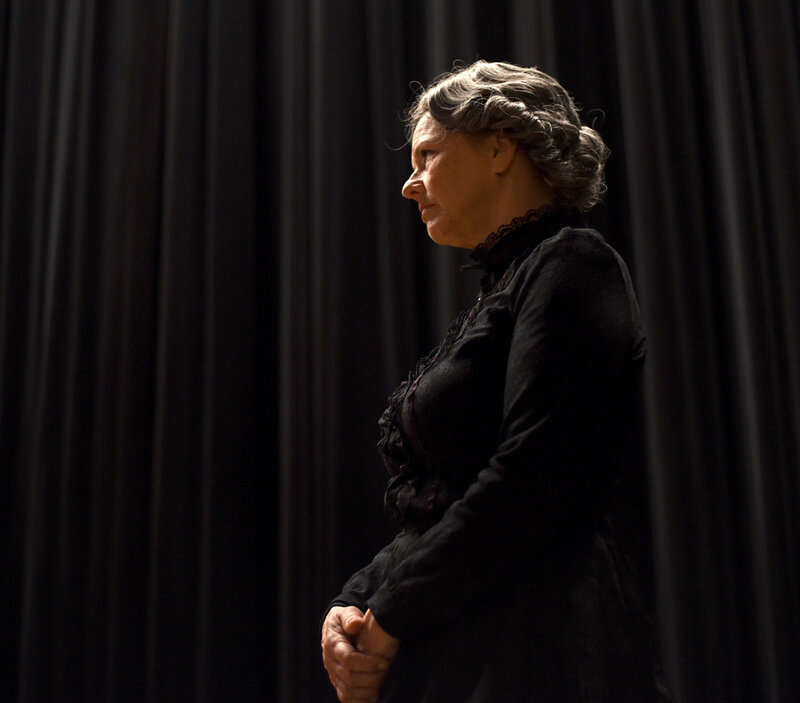 Katie Doyle-Baumann dresses up as Susan B. Anthony during a dress rehearsal for the "Within These Walls.." dinner show at Turner Hall on Nov. 11, 2015. "She was a very stern person," Doyle-Baumann said. "It's very interesting playing her. I love the history of it." 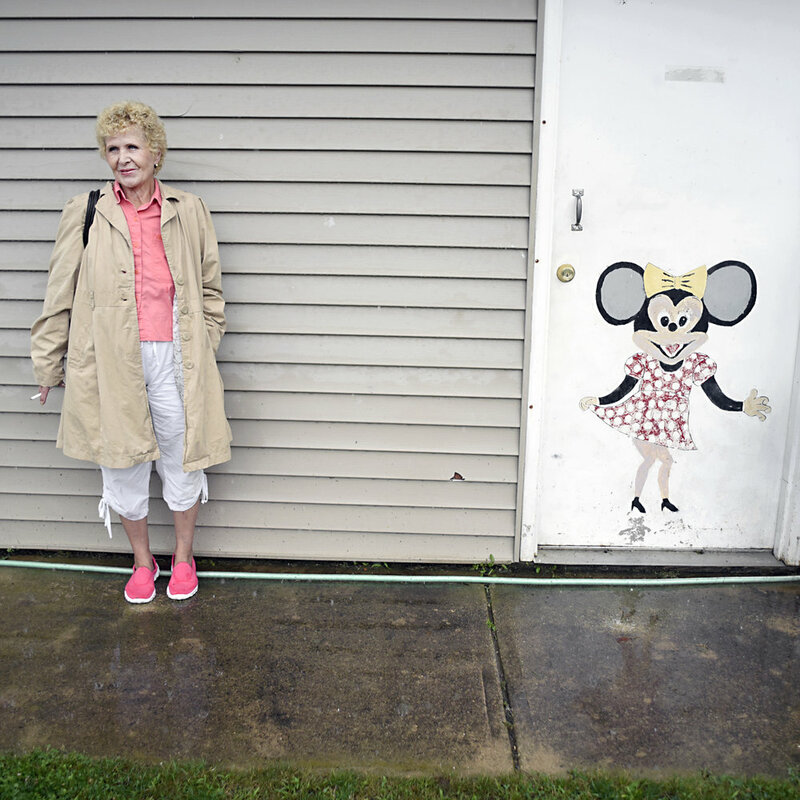 Marilyn Thomann, from Monroe, try to avoid pouring rain during Browntown's fish boil at the Browntown Park June 20, 2015. 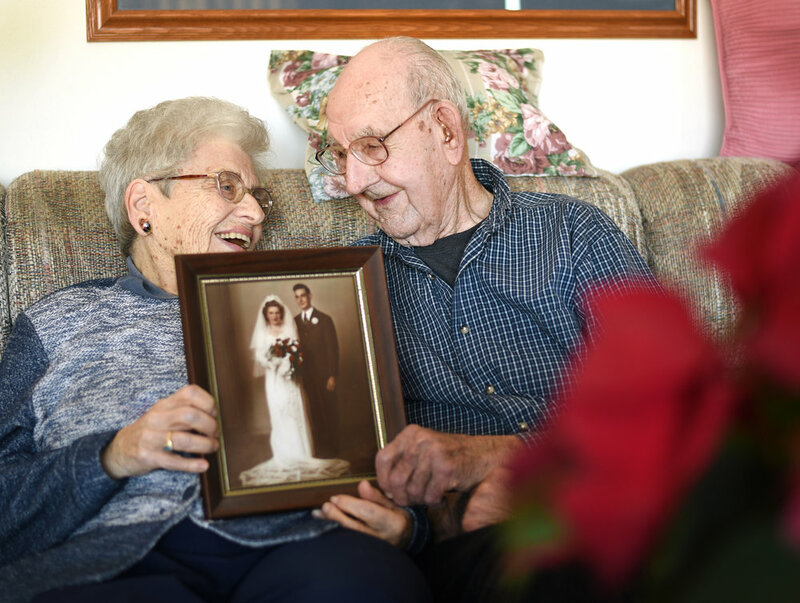 Dorothy Wild, 91, and her husband Dallas, 93, celebrated their 70th wedding anniversary in September 2015. "I can't see so good, and he can't hear so good," Dorothy said, "so we make a good pair." Ashley Geisler and her six-month-old son, Isaac, sit in her Jeep where she gave birth in the backseat to Isaac in November 2015. Geisler plans to give her son the Jeep when he is old enough to drive. Robert Verdonck, a Flemish painter, holds his dog, Tobias, a nine-year-old teacup poodle and shihtzu mix, in front of one of his paintings in his home July 7, 2016. "When I'm painting," Verdonck said, "I feel like I'm in my own kind of world."